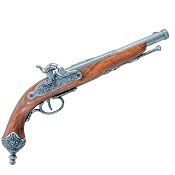 We have cap shooting western guns, Yep Cowboy cap guns And Colonial Flintlock or Percussion action Cap guns. You haven’t seen cap gun revolvers since you were a kid. You have been asking for cap guns so we got them. 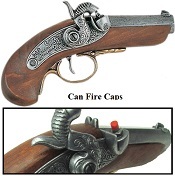 They are not just a cap gun they are quality realistic reproductions of the 1873 Peacemaker Army Model, The Baby Philadelphia Derringer, and the English Colonial Flintlock. 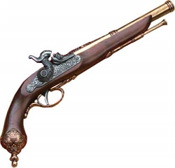 This is a Cap gun can be used for theatrical or stage prop as well as a costume cap gun. The quality and authentic weight and size are good enough to be a classic collectible western display when not in use. 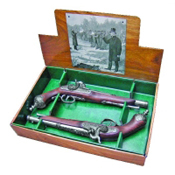 Click Here To See Complete Details Or To Add To Cart Italian (Brescia) Dueling Pistol.